Christmas has come early to ABC. Today, the network announced they’ve ordered additional episodes of Black-ish, The Goldbergs, Single Parents, and The Kids Are Alright for the 2018-2019 season. Black-ish is currently in its fifth season and The Goldbergs is in the middle of its sixth. Meanwhile, Single Parents and The Kids Are Alright just debuted their first season earlier this year. For the 2018-19 season, ABC has ordered another two episodes of Black-ish and an additional episode of Single Parents, The Kids Are Alright, and The Goldbergs. The ABC Television Network has ordered additional episodes of comedies “black-ish,” “The Goldbergs,” “The Kids Are Alright” and “Single Parents” for the 2018-2019 season. 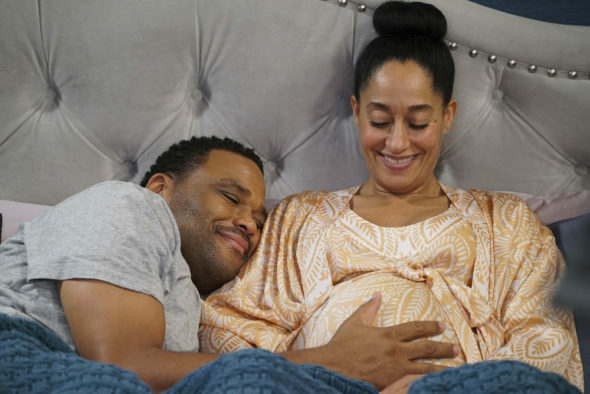 In its 5th season on the network, ABC’s “black-ish” was created by Kenya Barris and is executive produced by Barris, Jonathan Groff, Kenny Smith, Anthony Anderson, Laurence Fishburne, Helen Sugland, E. Brian Dobbins, Gail Lerner, Courtney Lilly and Lindsey Shockley. The series is produced by ABC Studios. Adam F. Goldberg, Doug Robinson, Alex Barnow, Chris Bishop, Lew Schneider, David Guarascio and Andrew Secunda are executive producers of “The Goldbergs,” in its 6th season on the network. “The Goldbergs” is produced by Happy Madison, Doug Robinson Productions and Adam F. Goldberg Productions, in association with Sony Pictures Television. New series “The Kids Are Alright” is from ABC Studios. From creator and executive producer Tim Doyle (“Last Man Standing,” “The Real O’Neals”), the series is inspired by Doyle’s childhood. Randall Einhorn is also an executive producer. Freshmen comedy “Single Parents” is from 20th Century Fox Television and ABC Studios. JJ Philbin and Elizabeth Meriwether are creators and executive producers. Katherine Pope, Erin O’Malley and Jason Winer are also executive producers. What do you think? Do you watch any of these ABC series? Which do you hope get renewed for another season? More about: ABC TV shows: canceled or renewed?, Black-ish, Black-ish: canceled or renewed?, Single Parents, Single Parents: canceled or renewed?, The Goldbergs, The Goldbergs: canceled or renewed?, The Kids Are Alright, The Kids Are Alright: canceled or renewed? My husband and I watch all of these shows. It’s nice to watch comedy instead of all the heavy dramas that feel like the same stories over and over. And what better way to make a serious point than with comedy. Thank you for the relief.